Reiki healing is a light touch method of guiding healing energy from the Universe directly to the recipient. A Reiki practitioner acts as the conduit or channel, and then uses specific hand positions to direct the flow of energy to concentrate on various areas of the client’s energetic body, which includes the aura, the chakras and the meridians. 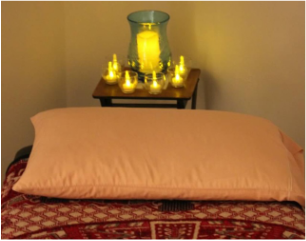 During a Reiki healing session, clients will experience a deep state of relaxation while the Reiki healer lightly touches various places on the physical body, promoting a flow and balance of energy in the client that will help maintain health and wellbeing on all levels – physical, emotional, and spiritual. If this is your first session with us, we recommend scheduling a 60 minute session, and plan to spend an additional 15 to 20 minutes in consultation before beginning the healing session.